Neath Rugby Supporters Club are proud to announce their biggest ever donation to the rugby club. This summer, the supporters club have agreed to fund the maintenance of the pitch through the purchase of fertiliser, grass seed, weed killer and 20 tonnes of sand. In addition to this, the supporters club has also agreed to fund the refurbishment of the changing rooms, ensuring that Neath, the opposition and the match officials can prepare for games in comfortable and welcoming environments. The total amount for all this work comes to £3,000. The pitch and changing room maintenance follows on from the supporters club funding the refurbishment of the Gnoll’s medical room and the purchase of training tops for the squad in the season just gone. Huw Davies, speaking on behalf of Neath Rugby Supporters Club said “We are proud once again to be working closely with Neath RFC this summer. Through the backing of our supporters during the season just ended, we are able to make this considerable and practical contribution to the club. Everyone who became members, bought a raffle ticket or attended our events in the past year have contributed to these purchases and for that we are very grateful”. The Supporters Club is set to continue its fundraising activities throughout the 2016/17 season and are urging all supporters who have not already done so, to consider joining. The more members there are, the more donations will be able to be made to the club. 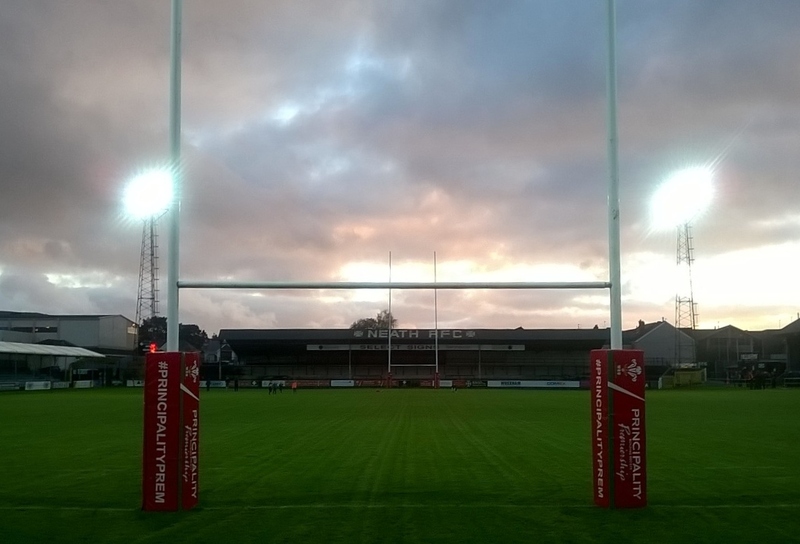 This entry was posted in News and tagged donations, Neath Rugby Supporters Club. Bookmark the permalink.